A few billion dollars in box-office sure does buy a lot of confidence! 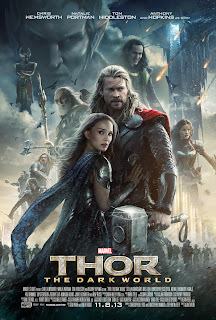 When Marvel released Kenneth Branagh’s 2011 hit Thor, you could sense the awkward strain of growing pains working against it, as the studio attempted to replicate the surprise success of Iron Man and lay precious groundwork for their shared cinematic universe. Thus, ‘ol Goldilocks’s first motion picture foray often felt restrained and safe, closely following the winning formula set forth by his repulsor-propelled big brother. The result was a witty and endearingly goofy slice of poppy superhero silliness, somewhat short on splashy spectacle and fantastical vision, but rousingly big on character, charm and franchise potential. Then The Avengers happened and changed everything. Thankfully, Thor: The Dark World sees Marvel at last casting aside their past trepidations and diving headlong into the geeky, wonderfully weird mythology of the titular towering titan’s comic-book roots. This sequel is gloriously brimming with multi-syllabled alien locales, hordes of combating creatures straight out of a delirious Lord of the Rings/Star Wars mash-up and enough dimension-hopping to leave even the most ardent Stargate fan dizzy. It’s a film in which a gold-armored badass downs an enormous villain spacecraft with a dagger, for goodness sake! I say, that is one mighty dagger! Alas, despite its admirable go-for-broke otherworldliness and bravado, this second Norse-tinged exploit often comes across as rushed and chaotic, sacrificing much of the bubbly, genial personality and engaging character work that won us over the first time around. All of the required elements are in place, with a heavy heaping of extravagant CG wizardry, yet the heart isn’t quite there. The Dark World feels like a perfectly serviceable one-shot tale planted between two sensational epic arcs; offering just enough to hype you up for the next issue, even if it doesn’t fully satisfy on its own. Set shortly after the incredible events of The Avengers, The Dark World picks up with the muscle-bound Asgardian champion (Chris Hemsworth) reinstating peace among the Nine Realms, much to the pleasure of his wise father, King Odin (Anthony Hopkins). Nevertheless, a long-dormant ancient evil is brewing in the form of Malekith the Accursed (Christopher Eccleston), a sinister Dark Elf who yearns to attain the powerful Aether, a mystical force that would allow him, once the Realms are lined up during a period of time called Convergence, to spread darkness across, well, everything (them Dark Elves take their names very seriously). The antagonist’s diabolical plan hits a snag, though, when the Aether, via portal, winds up residing within the earthly form of Jane Foster (Natalie Portman), Thor’s scientist love interest. Relocated to Asgard for protection, the possessed astrophysicist soon becomes a much sought after player in the vicious conflict, targeted by Malekith’s army of masked, implosion-grenade-tossing soldiers. In the meantime, sitting idly in his eternal subterranean prison cell, the scheming Loki (Tom Hiddleston) waits patiently for his opportunity for escape and revenge. 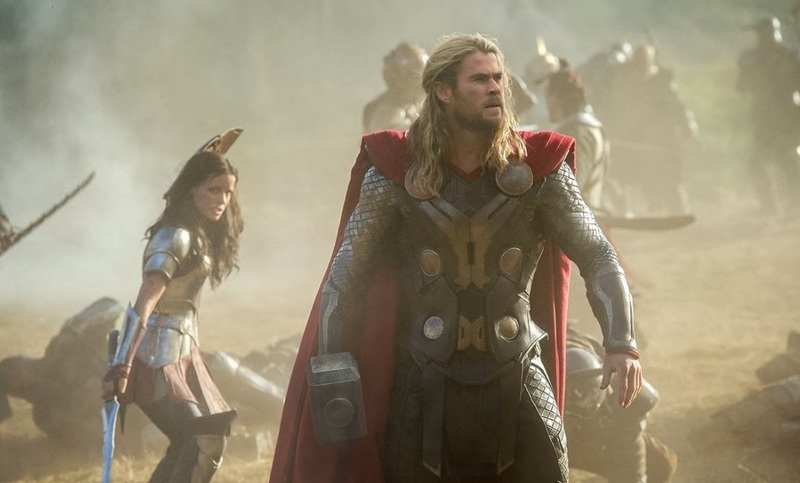 Impersonally directed by HBO vet Alan Taylor, and hammered together by a team of five screenwriters, this new Thor entry isn’t exactly a model of elegant storytelling prowess. Unlike this summer’s ingenious Iron Man 3, there isn’t much going on beneath the superficial thrills and funny jokes, and little in the way of compelling character arcs. More often than not the story is dictated by slapdash convenience (a handy interdimensional portal is rarely far away), rather than logic. No doubt aware of these issues, Taylor – who has acknowledged the script was “fluid” during production – barrels through, injecting as much energy and humor as he can to distract from the deficiencies. 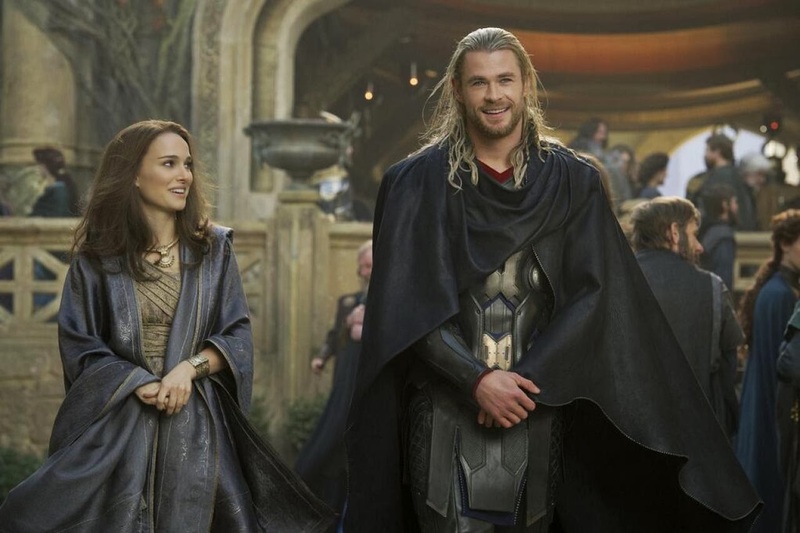 Occasionally he stages a genuinely beautiful moment - such as a fiery Asgardian funeral or a brief bit where Bifrost guard Heimdell (Idris Elba) thoughtfully gazes into the heavens – or cool action beat, but he lacks the dynamism (and likely clout) to fashion anything truly special. Taylor also has to contend with the Loki problem. The fan-favorite bad guy has become a huge blessing and curse on the series. 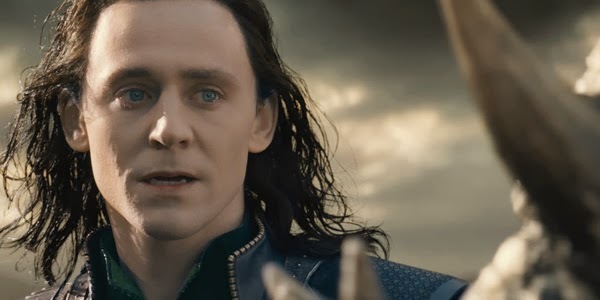 Given that the brilliant Hiddleston is so utterly ideal in the role it’s become unthinkable to make a Thor film without him, despite the fact he has a nasty habit of running away with the show every time out. Certainly, the trickster god has a fair deal to do here, and he magically mines every last ounce of wicked fun from each and every scene. Unfortunately, his presence critically subtracts from Malekith’s already anemic presence – the dull Elfish evildoer is easily the weakest of the Marvel cinematic rogues gallery – and robs precious screentime from all of those around him (The Warriors Three, we hardly know thee!). 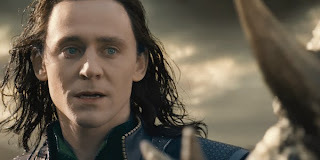 Make no mistake, The Dark World provides a damn great Loki fix, however, going forward, one wonders if it may prove difficult to create compelling adversaries with the gold standard always devilishly peeking in from stage left. Although Hiddleston solidifies his reign as this series’ MVP, he’s surrounded by what has to be the best ensemble in the Marvel movie-verse. Hemsworth again brings the valiant movie star goods with imposing physical weight and a twinkle of the eye. He swings Mjolnir (“Mew-mew!”) like a champ, and scores huge laughs with slight, earnest turns of phrase and slightly-stilted courtly behavior, such as nobly conversing with Foster’s quippy intern Darcy (ever-droll Kat Dennings) or boarding a crowded underground train. He also has really cute chemistry with the cheerfully bright Portman. Portraying Asgard’s finest, Elba continues to command the screen with minimal movement, while Jaimie Alexander compellingly blends toughness with tenderness as the sadly underutilized Sif. And, of the legendary Anthony Hopkins, it must be said he bellows and commands with (barely) restrained majesty. Because it’s so heavily stocked with winning performances, and so modest in its artistic aims, The Dark World manages to squeak by as passably entertaining blockbuster nonsense; an acceptable tide me over until Marvel launches their next juggernaut, Captain America: Winter Soldier, in March. That said, hopefully next time we’re treated to a trip to Asgard – which, judging from the cliffhanger, will be sooner rather than later - we'll finally get a rousing, fist-pumping adventure worth celebrating. After all, it’s high time Thor really brought the thunder, instead of merely amusing us with the odd flash and bang.